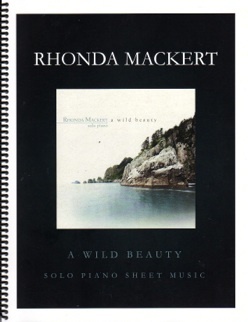 A Wild Beauty is the companion solo piano sheet music collection for Rhonda Mackert’s 2011 recording by the same name (also solo piano). Transcribed by Donovan Johnson and proofed and edited by me, this book is a note-for-note match to the recording and a lot of fun to play. 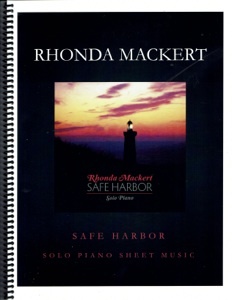 Spiral-bound to stay open on the piano or keyboard, the music is printed on a heavier bright white paper stock that should stay crisp for many years. The notation is clear, roomy, and easy to read. Most of the pieces are at an upper-intermediate playing level. There are no reaches of more than an octave and most of the pieces are in relatively easy keys (see below). A few pieces have tricky rhythms, but they are not very difficult - they just need to be counted a few times to get the feel of the piece. There is a really nice range of emotions expressed in the music - from slow and dreamy to upbeat and lively - and most have a fairly leisurely tempo. 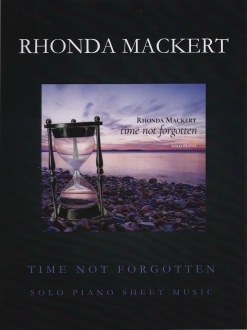 It’s a beautiful book and one that I recommend highly. 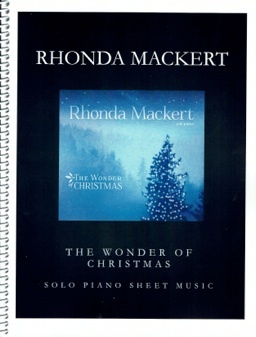 It is available from rhondamackert.com in both book form and as a download (the pieces can be purchased and downloaded singly or as a collection).